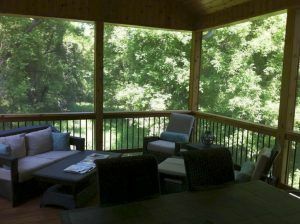 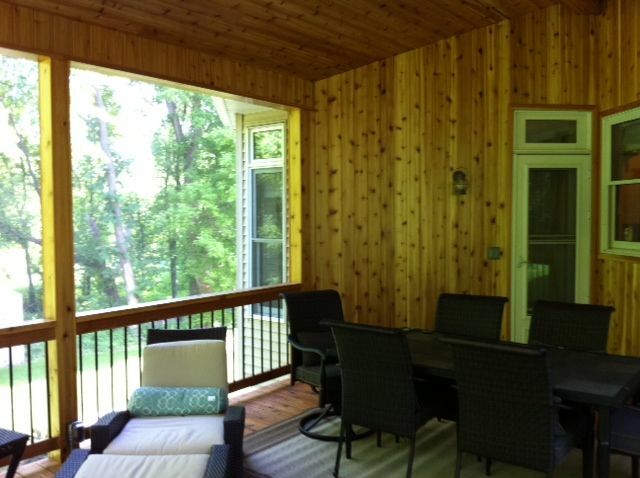 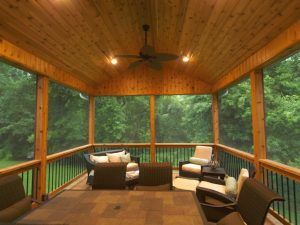 This screened porch project came to us as a referral. A couple years prior we had built a two story room addition, also featured on our website, for a family member. 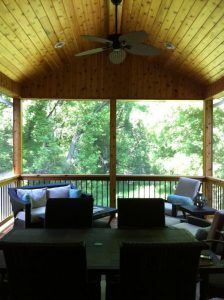 They were completely satisfied with their room addition project and referred their family member to us. 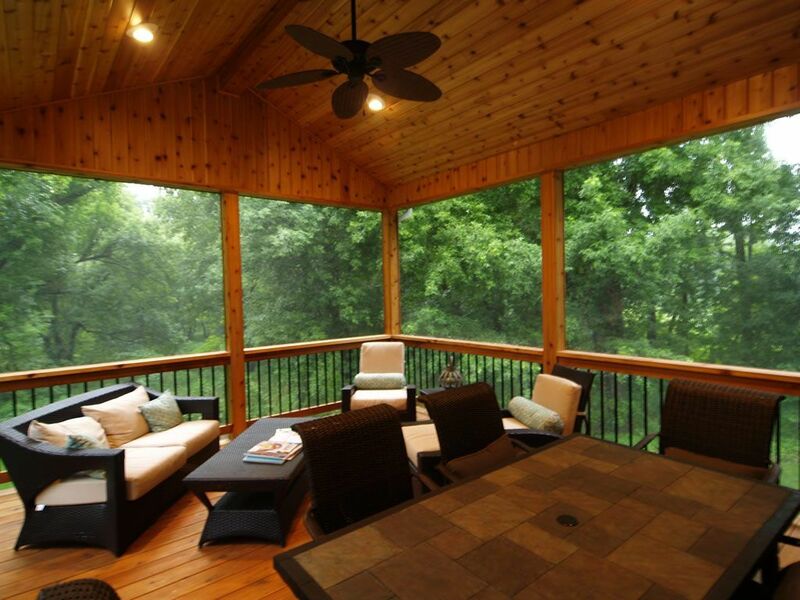 This family wanted to add a screen porch to their home that would complement the existing architecture. 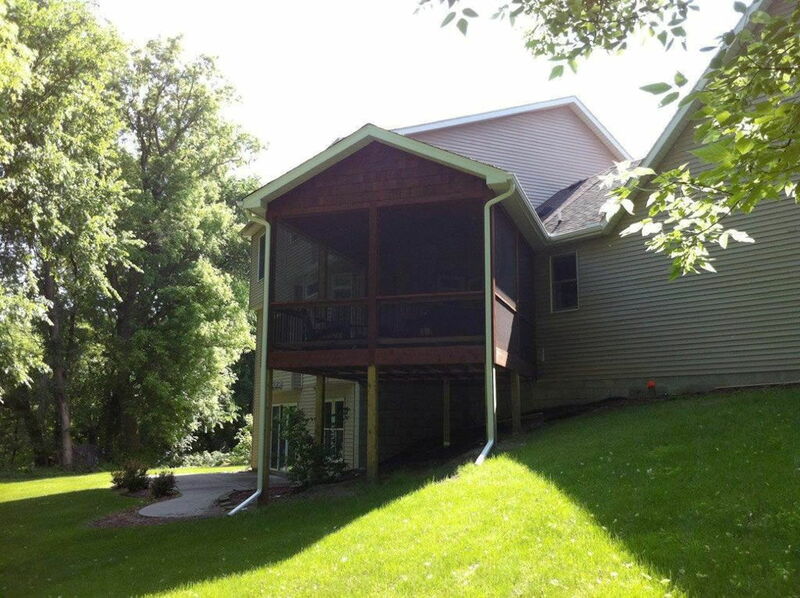 Because of the location of the addition and the existing roof line we also had to solve the issue of possible a ice dams. 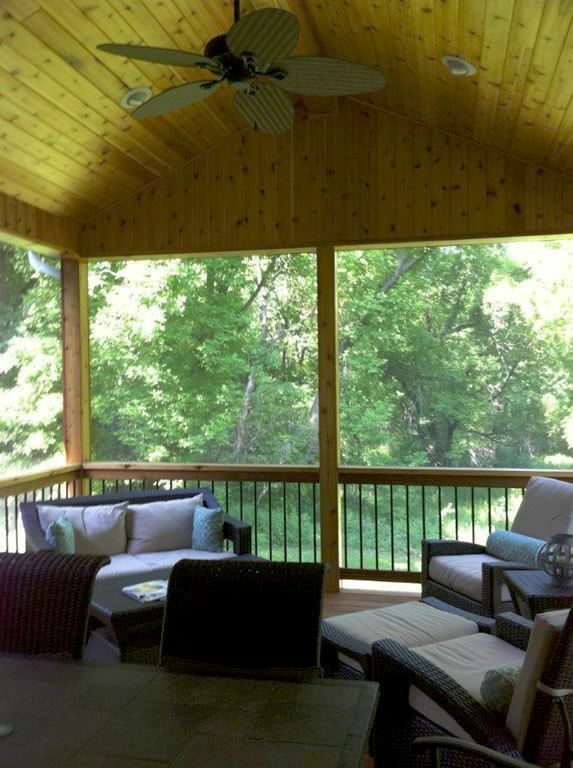 Our designers went to work. 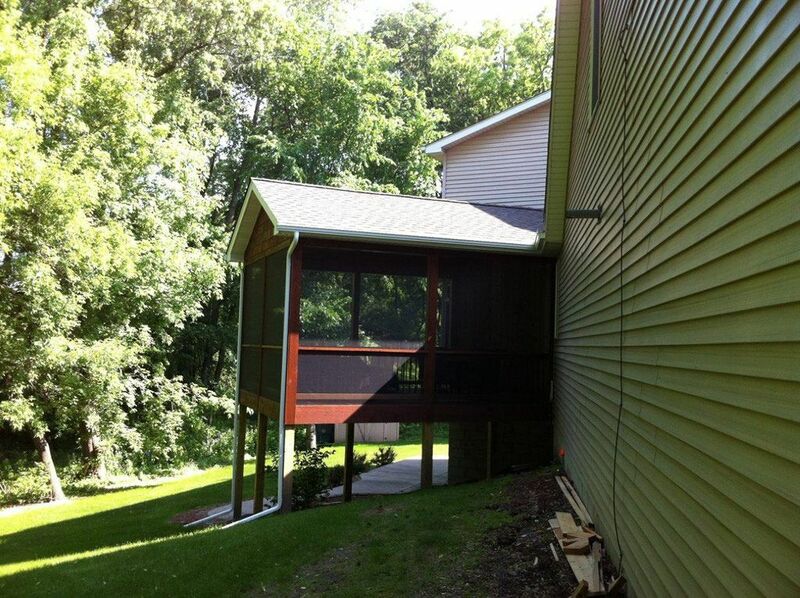 The design presented solved the ice dam concern by putting the porch on a 45 degree angle from the existing home. This design also added a great deal of square footage to the screen porch addition. 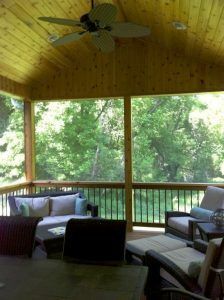 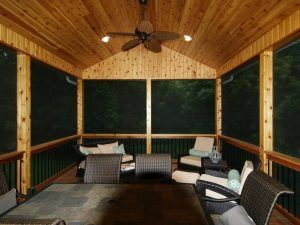 This screen porch features a cedar tongue and grove ceiling, ceiling fan for air circulation and cedar shakes in the gable. 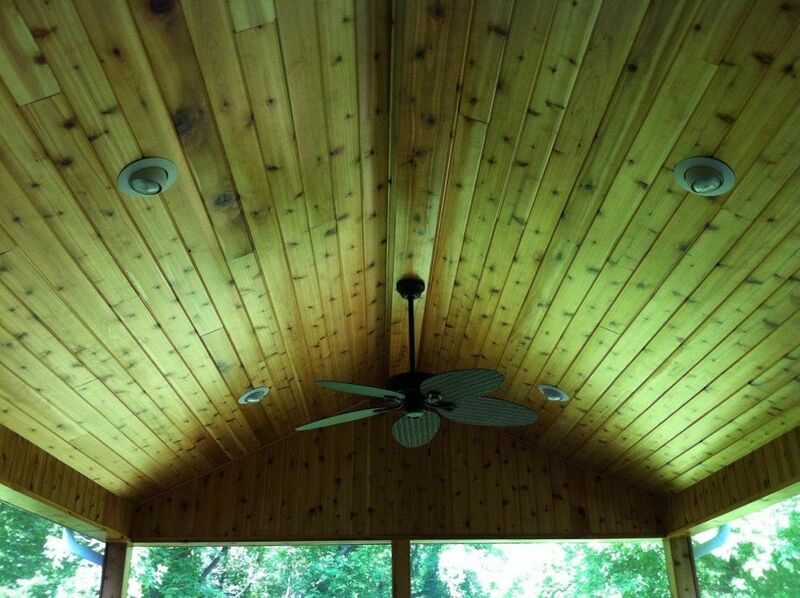 An often overlooked detail, the type and quality of finish on applied to the materials. 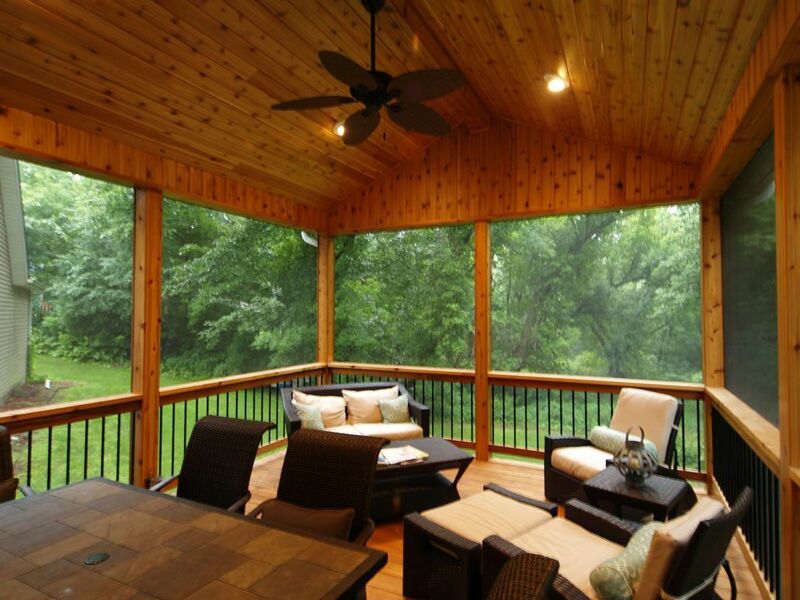 We use only the best known finishes. 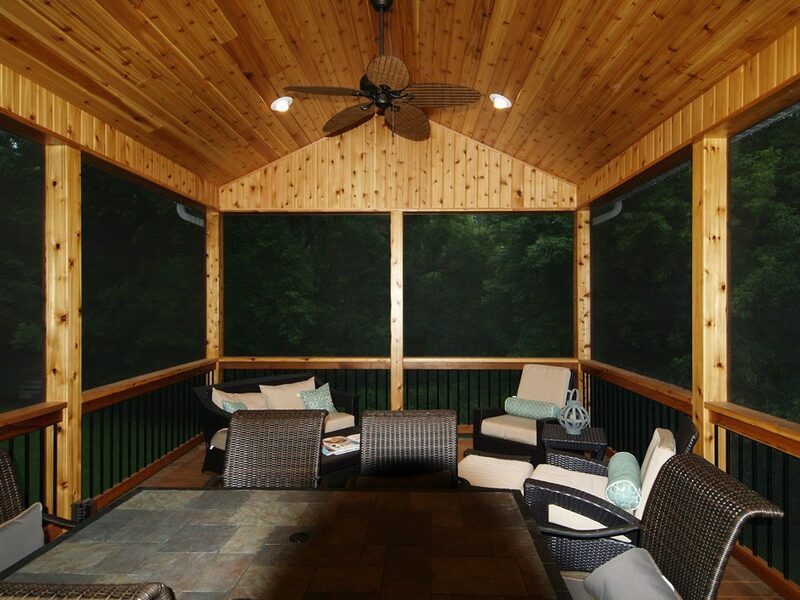 This ensures years of protection with minimal maintenance. It’s these types of details in the products selected for your project that play a very important role in your overall satisfaction.